Waterproof connectors manufactured from the highest quality materials, these waterproof connectors are ideal for applications that are constantly exposed to the weather. They feature rubber grommets and quality locking tabs for a secure seal. 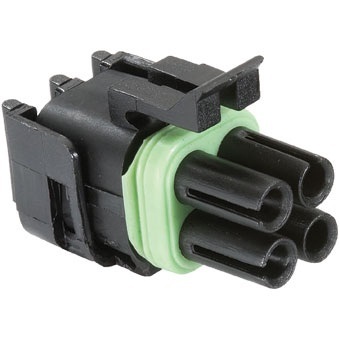 Available in male or female packs of 10 waterproof connectors, or convenient single paired waterproof connector blister packs.